With the ProClean Conveyor (PCC), HECHT developed an extremely flexible and reliable conveying system. 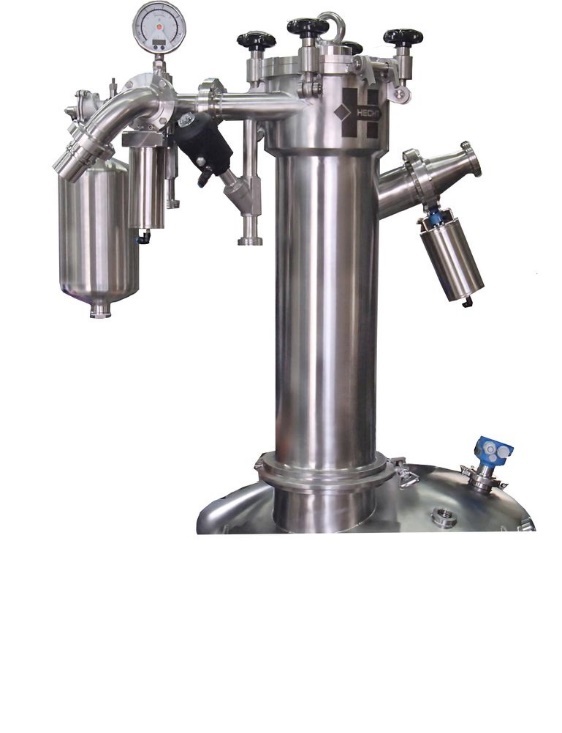 The pneumatic device is the ideal connection of different machinery such as granulators, dryers, blenders, grinders and centrifuges. It is especially suitable for discharging of bulk solids into different containers like drums, FIBCs or sacks within your in-house process. The PCC ensures high conveying capacities for long conveying distances and guarantees a safe conveying of explosive or toxic substances. In addition, a dust and contamination free environment is ensured. Suitable for all containment levels, either for toxic fine dusts, toxic products, special requirements for hygienic design, or as a completely closed system, the PCC guarantees operator and product protection.